I’m thinking of using a different art style for this arc (because MEMES). What do you guys think? This, or the old style? Oh, tough choice. I’d say run a few episodes with the new style, then poll us again. At a glance, I prefer the old style, but variety is the spice and all that jazz. This style would be just for this arc? Fine by me, I like it! Yep, only this arc, though I may just keep it for this one chapter only instead. The inhabitants are…screwy, to say the least. It’s infectious, they’ll all be Wyatt-ified by the end of the chapter. The inhabitants are the rage faces. Calling it. I just thought, this art style is almost like Trickster Mode. 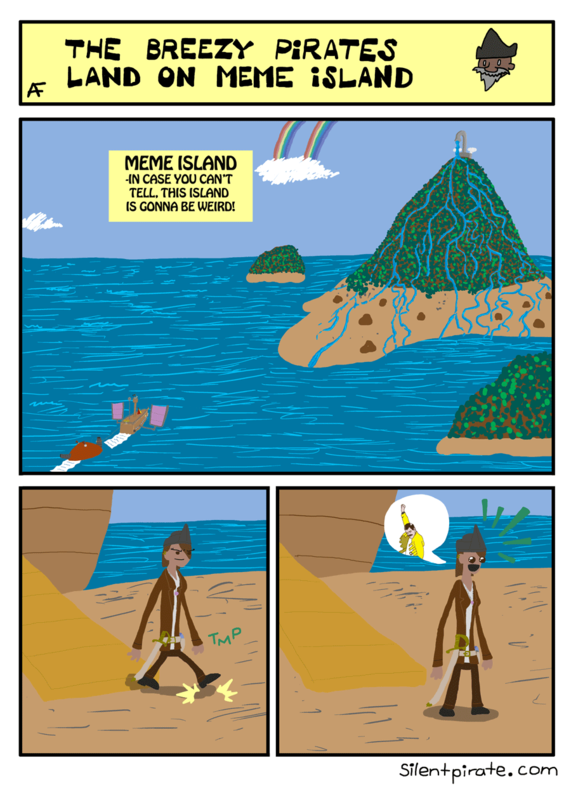 I think I decided to do the art shift largely following that…though the crazy-inducing effect of Meme Island was a thing way before that! Along those lines, though, Wyatt’s backstory is directly based off of a character’s backstory from another work. LOL I thought you had a guest comic for a minute there! Memes…oh dangerous territory! C’mon, after Haunted Tree Island, this should be nothing! I’m not 100% sure about the new style. But I might like it when I get used to it. (But only because it’s Meme Island. I would very much prefer you to go back to the old style after). Yeah, definitely going back to the normal style afterwards!